Irish singer/songwriter Luka Bloom prefers to spend the rest of the winter in warmer climes. Australia is his destination. And it is just midsummer on the fifth continent. 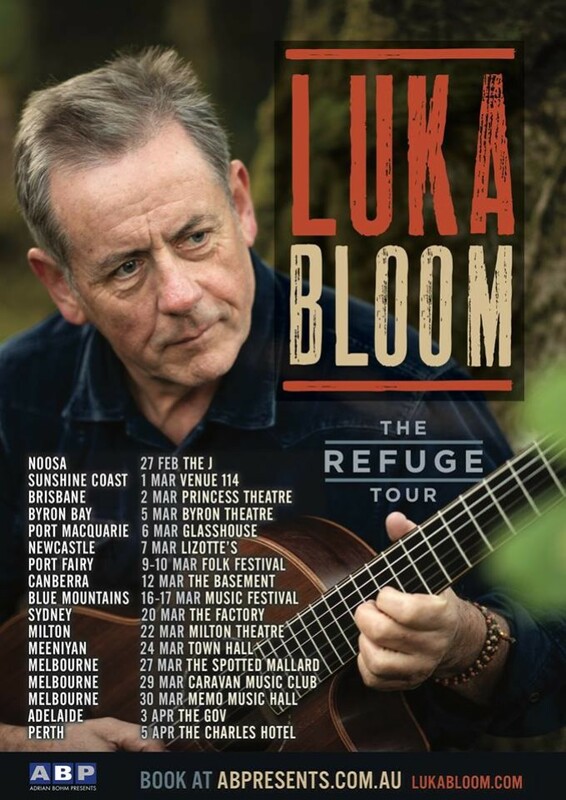 The journey starts on 27th February in Noosa in the Sunshine Region of Queensland, 5 weeks later on 5th April 2019 the trip across the continent ends for Luka Bloom in Perth.